Condition: Hardcover, with slipcase. Near fine. Barely noticeable foxing to edges, creases to edges of 2 pages, no other defect. With colour plates. 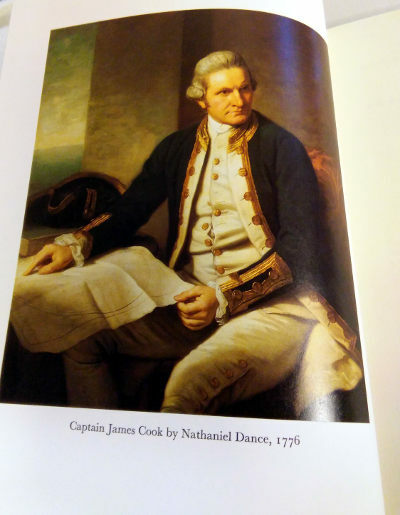 Captain James Cook, FRS, RN (7 November 1728 – 14 February 1779) was a British explorer, navigator, cartographer, and captain in the Royal Navy. 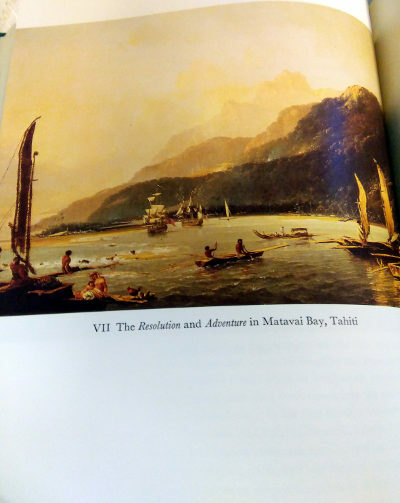 Cook made detailed maps of Newfoundland prior to making three voyages to the Pacific Ocean, during which he achieved the first recorded European contact with the eastern coastline of Australia and the Hawaiian Islands, and the first recorded circumnavigation of New Zealand. 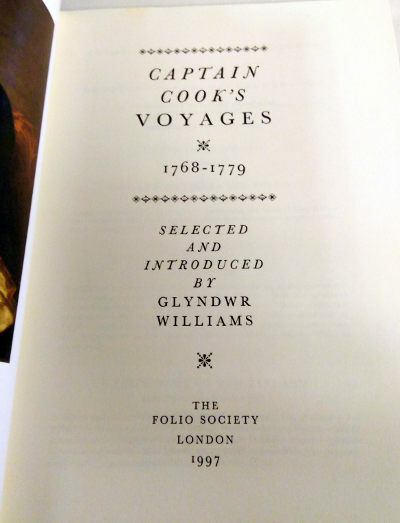 Cook joined the British merchant navy as a teenager and joined the Royal Navy in 1755. He saw action in the Seven Years’ War, and subsequently surveyed and mapped much of the entrance to the Saint Lawrence River during the siege of Quebec. 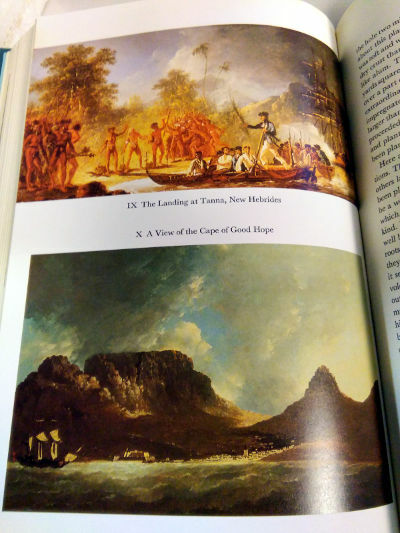 This helped bring Cook to the attention of the Admiralty and Royal Society. This notice came at a crucial moment in both Cook’s career and the direction of British overseas exploration, and led to his commission in 1766 as commander of HM Bark Endeavour for the first of three Pacific voyages. 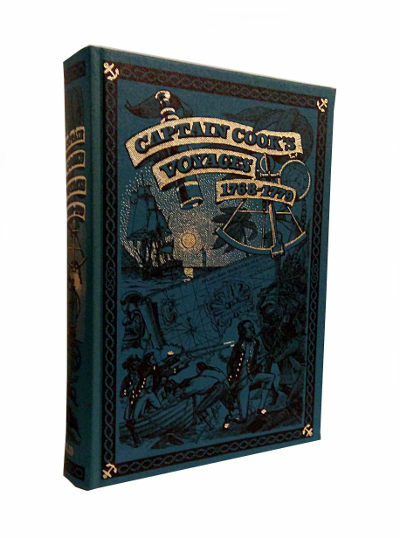 Cook was killed in Hawaii in a fight with Hawaiians during his third exploratory voyage in the Pacific in 1779. He left a legacy of scientific and geographical knowledge which was to influence his successors well into the 20th century and numerous memoria worldwide have been dedicated to him.